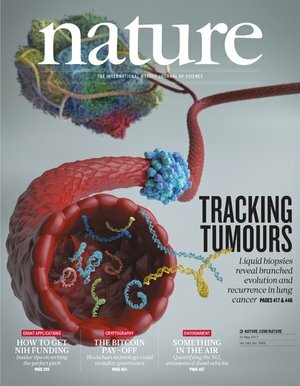 A former researcher at Johns Hopkins who voiced concerns about a now-retracted paper in Nature has lost another bid for whistleblower protection. Daniel Yuan, a longtime statistician for former Hopkins yeast geneticist Jef Boeke, was dismissed in 2011, after he’d spent years raising concerns about research coming out of the lab. Yuan’s criticisms, which continued after he stopped working for Boeke, peaked in 2012 after Boeke and former labmate Yu-li Lin published a paper in Nature. Later that year, Lin was found dead in his lab, a suspected suicide. In 2013, the paper was retracted, citing an inability to reproduce the main conclusions. Since 2013, Yuan has pursued a wrongful termination lawsuit, claiming that federal regulations surrounding scientific misconduct afforded him protection from retaliation. In late March, Maryland’s highest court ruled against Yuan, saying that those misconduct regulations are “too vague” to offer cover to employees claiming whistleblower protection. According to lawyers we consulted, the decision could make it harder for would-be whistleblowers to fight retaliation, while also giving institutions more leeway to handle these issues on their own. Maryland is an “at will” employment state, meaning that unless a contract includes specific language, an employer can fire any employee at any time and for any reason. Most states recognize “at-will” employment, but, like Maryland, they’ve carved out certain “public policy exceptions” to such rules. Maryland courts recognize a “public policy” exception to the at-will employment rule when the reason for termination contravenes a clear mandate of public policy (e.g., being terminated for refusing to engage in unlawful conduct). We hold that we do not recognize the federal regulations prohibiting research misconduct as a clear public policy to support a tort claim for wrongful termination of employment…because the public policy he is alleging is not clearly discernible, as we cannot determine if a research misconduct violation occurred, we do not recognize the policy to establish his claim for wrongful termination. The scientific institution, not this Court, is in the best position and has the expertise to determine whether the research results of its employees amounted to impermissible research misconduct or permissible error or differences of opinion. That’s a real invitation to abuse. The courts seem to argue that the details of deciding what is research misconduct are too challenging for the courts to take on. I’ve always thought that’s a misplaced concern for two reasons. One, there’s lots of kinds of misconduct that are technical, like financial misconduct, which courts deal with all the time.Two, the issue is not whether the science is true or not, but whether there’s a protected process under which people can make reports in good faith without fearing for their livelihood. We are grateful for the thoughtfulness and care with which Maryland’s highest court considered this issue. If you set the exception bar too low, then anyone will say they were fired for that reason. As somebody who represents whistleblowers, it’s troubling that the highest court in the state could look at the regulations and walk away thinking they’re too vague. Yuan’s saga, which started in the late 2000s, garnered significant media attention due to Lin’s 2012 suicide. Trained as a pediatrician, Yuan joined Boeke’s lab in 2001 after deciding to abandon the clinic for the lab. At the time, the lab was developing new technology to explore the yeast genome. Dubbed SLAM, it was touted as a new way to find interactions between genes in yeast. Cancer researchers have been particularly interested in these so-called “gene-gene” interactions, where the mutations might not be scientifically notable on their own, but are when taken together. One type of interaction is known as synthetic lethality, where normally harmless mutations become lethal when teamed up. The project never got started in the way it was supposed to. It was supposed to generate 5,0000 synthetic lethality data sets. There were maybe 700 after three years and none of it was interpretable. It never yielded anything actionable. Despite Yuan’s warnings, Boeke and Lin were planning to extend the method to human genes. Interactions between Lin and Yuan at the lab were few, Yuan said, and at any rate, Yuan had other things to worry about. He was slowly being forced out. He was demoted in 2011 from research associate to an entry-level position. Yuan also got into trouble after he submitted a paper without asking Boeke if he wanted co-authorship. These were just a few of the specifics that the judges deemed insufficient, when taken together, to rule in favor of Yuan, according to Thomas. “It was so muddled [Yuan] wasn’t able to draw a really clear connection” between being fired and reporting misconduct, he said. I think this case makes it somewhat more difficult for persons making accusations of research misconduct to use those allegations to bolster any associated claims of workplace retaliation or discrimination. But most importantly, the court ruling suggests that courts will be very reluctant to intervene in institutional research misconduct proceedings. If somebody in my lab, being paid from my extremely hard-won grants to work on my projects used those resources to submit an “independent” paper without my knowledge, of course I’d fire that person! You want to spend your time completely independently pursuing your own ideas, get your own lab and sweat your own blood to fund it. Sometimes retraction watch seems just a tad biased towards assuming the PI is always a criminal. Obtaining funding does not give automatic entitlement to being on any publications of the research performed by the researchers. I beg to differ. The person who spends their time writing and submitting the grant, is equally deserving of authorship, vs. those who perform the research and are typically unburdened by the stresses of how to keep the lights on. I can think of vanishingly few examples where a PI gets a grant to do some work and then allows the results to be published without being an author. I’ve done it a handful of times where a lab member is in need of a senior author publication to demonstrate independence for career progression, and the work is peripheral to our main research line. However, it’s always the decision of the PI, not the subordinate. This seems to vary a lot between different field of science. It seems to me that life sciences in particular are very PI centric. What if, in-spite of excellent publishable research by the researcher, the PI decides not to allow the researcher to publish for non-scientific reasons? The COPE guidelines are there to ensure those who do the research ARE ABLE to publish without the “permission” of the person who brings in the grant. Some PIs seem certain that when they received a grant of taxpayer funds, they were given the inalienable right — perhaps the duty, for the good of all — to take credit for anything done by anybody supported by those funds. If a brilliant lab member had a great idea and did all the work to make a great discovery, you would feel entitled to credit, even if your intellectual contribution was zero, or even if it was negative because the work went against the way you were thinking about things. And your name would go on the paper. You would likely get more credit than the lab member in the eyes of the world, since he will likely be less well known that you, and people will associate the work with your name and forget the name of the more junior person. You will, I don’t doubt, glowingly recommend this person when he applies for positions or fellowships, and you will praise him highly when you speak publicly about his work (as you will likely do). But this will not change the fact that you will get undeserved credit for his great work, and he will get less credit than he deserves. I have described an extreme case, but PIs routinely get undeserved credit for the ideas of “subordinates”, as they were so charmingly called. I know for a fact that people refer a paper as the work of Big Name when I know that it was the work of the graduate student or postdoc whose name they don’t remember, and Dr. Big Name’s contribution was to make a few comments on the manuscript, as colleagues routinely do for each other with no expectation of anything besides, perhaps, an acknowledgement. They even wonder why Big Name seems to have contradicted himself, when there are two papers that are really the work of two different junior scientists that Big Name had essentially nothing to do with. I fully agree with anon and Prof Brookes. The PI deserves authorship on the projects they fund. If a postdoc or other person in the lab submits [and publishes] a paper without the PI’s knowledge they should be fired. Quickly. I’ll take it a step further. That person who submits [and publishes] a paper without the PI’s knowledge illegally misappropriated government or foundation funds.That’s unethical. “The COPE guidelines are there to ensure those who do the research ARE ABLE to publish without the “permission” of the person who brings in the grant.” Please cite the COPE guidance. I cant find anything like this and if COPE does support such behavior they are wrong. I would suggest to any trainee to run away as fast as possible from a PI that forbids their post-doctoral researchers from pursuing small amounts of independent research and demands authorship in every paper produced by their underlings (even ones where their funding plays no role). What of the salary of the “underling”? Isn’t being paid out of the grant obtained by the PI? Paying someone’s salary is not an intellectual contribution. If you are concerned about “misappropriated government or foundation funds”, I would think that you would champion the person who apparently correctly pointed out that past and ongoing funded research was deeply flawed. If anything comes close to misappropriating funds, it would seem to be attempts to suppress meritorious criticism of one’s own use of funds to perform flawed research. OTOH, if someone gets to the point of submitting a paper without you noticing, you’re either a hands-off PI that doesn’t get automatic authorship (because no intellectual contribution) or you’re not paying enough attention to the folks you’re supposed to be mentoring and/or managing. Anon, there’s a huge power differential between the PI and everyone else in the lab. whenever there is a system where there are huge power differentials among people, the criminality tends to occur primarily in one direction or originate from one side with the power, surely you can see that. As a member of the more powerful class within this system, you have the power and potential to not only make sure it doesn’t happen in your sphere of influence, but to speak up for those who have less power than you. But this won’t happen if you are blinded by defensiveness every time abuse of power by people you identify with (I.e. PIs) is talked about. Can you think of any reasons why the employee in this article tried to submit a paper without his boss? Could it be that the employee was trying to stay afloat in what already sounded like a dysfunctional work environment? No – there are never any valid reasons. Anyone that thinks differently has never had to actually go out and secure grant funding for their lab. Work hard, succeed where others fail, and then have a student or tech use those hard fought resources to pursue their own “independent” or unrelated project is not ever acceptable. If it’s an NIH grant or contract it will be illegal as well. Invalid reasons: disrespect for the PI, insubordination, overactive ego and gross stupidity all come to mind. No – submitting a paper without the person’s whose paying your salary permission is a sure path to getting fired for just cause, e.g. insubordination. If you don’t like the PI, leave. Staying on, undercutting his or her program and pursuing your own “interests,” while draining resources from the PI is wrong. I guess I’ll never stop being amazed at the widespread assumption that if there’s a conflict in the lab that it’s somehow always the PIs fault. rfg, your remarks seem to be completely divorced from the case at hand. The PI and his collaborator were apparently doing fatally flawed research and polluting the scientific literature. This lab member kept telling them so, to no avail. He was persistent and exposed bad science and perhaps misconduct. It would seem that that was his reason for doing what he did, after trying other, more ordinary, things. By the way, that grant of yours: that’s my hard-earned tax dollars. We (my fellow taxpayers and I) did not give it to you as some kind of reward for being so wonderful with the intent that you use it to advance your own interests as much as possible. We gave it to you (or, technically, your institution) in the hopes that this would advance science. If you are using it to conduct and publish flawed research, or if you are committing misconduct, we want that to come to light. If somebody in your lab exposes it, we applaud him. That may not be in your best interest, but we really don’t care.